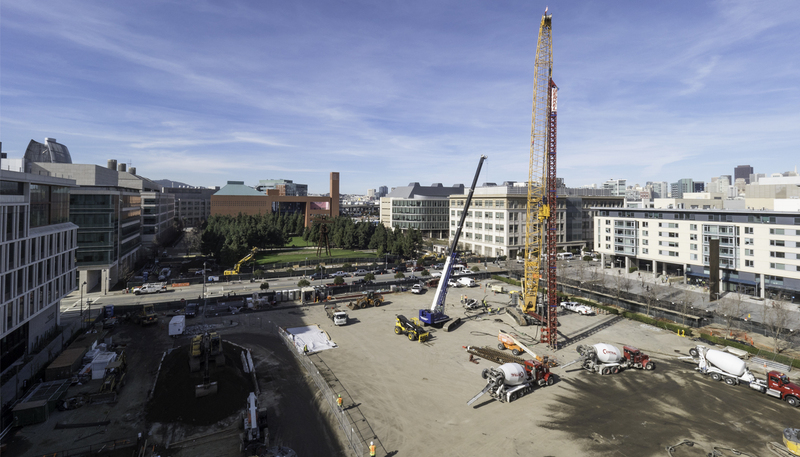 DPR recently celebrated full mobilization and the start of foundation work for the new 270,000-sq.-ft. Joan and Sanford I. Weill Neurosciences Building for the University of California, San Francisco. 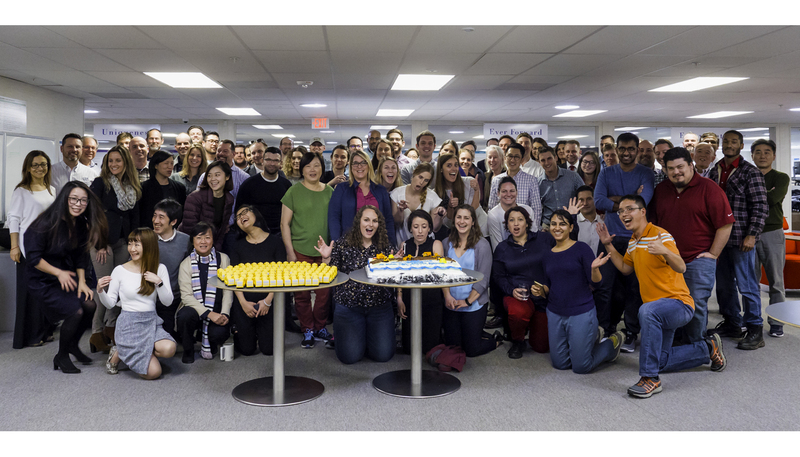 To honor the milestone, which occurred by drilling the first production auger cast pile, the team celebrated with all project partners in the Big Room, a collaborative space that physically brings together designers, builders, trade partners and facility operators. “After a year and four months in preconstruction, we are extremely excited to celebrate the start of construction. We wouldn’t be here today without all our tremendous design and trade partners. Everyone in this room should be very proud to have played a part in this project so far, and I can’t wait to see the project built,” said DPR’s Tim Kueht, during a cake toast to kick off the celebration. Prior to the ceremony, the entire Big Room team attended a presentation given by UCSF Medical Center’s nurses, doctors and researchers. These monthly presentations inspire and help the project team better understand the greater impact the facility will have on advancing the full spectrum of brain health through research, education and patient care.